Uncapped FibreSupercharge your Internet connection with all-you-can-eat style Fibre Packages starting from only R497pm! Fibre‑Ready Wi‑Fi RoutersAffordable, High Performance Fibre‑Ready Wi‑Fi Routers starting from only R649 once‑off. 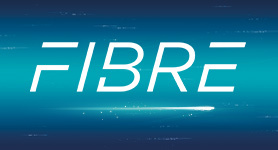 Blazing-Fast Fibre is your gateway to truly enjoying the internet the way it was intended. Whether you want to stream content fast and without buffering, download 50GB Next-Gen Games, or Sync devices via the cloud - everything is lightning fast, reliable and amazing. USB Modems and Mobile Wi-FiConnect to the internet with Mobile Devices from only R569 once-off. Afrihost Fixed Wireless is the first truly viable wireless alternative to Fibre or ADSL. Sign up now and get up to R1999 off your Hardware Costs, but only while stocks last! Or you can get up to 1 Month FREE Data on any SIM Only Package. Month-to-Month CellularContract-Free Voice and Mobile Data from only R109.00 pm. Month-to-Month Mobile DataNo Contracts, Flexible Out-of-Bundle Service from only R39.00 pm. Prepaid Voice and Mobile DataAirtime and Mobile Data that lasts up to a year from only R25.00 once-off. 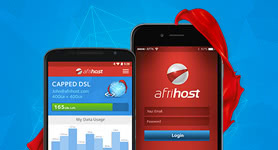 Get comprehensive Mobile Packages with tons of data from Afrihost on a Month-to-Month basis! Get more than you expect with Contract-Free Voice, Data and SMS. Capped DSLUsage based ADSL accounts, from only R0.00 a month. Uncapped DSLAll‑you‑can‑eat style, Uncapped ADSL from R57pm. Prepaid DSLUnshaped, prepaid ADSL bandwidth that lasts up to a year, for R17/GB. DSL LinesAfrihost managed Openserve ADSL and VDSL lines starting from only R69pm. Capped DSL BundlesCapped ADSL Data and an ADSL or VDSL line all‑in‑one from only R155pm. Uncapped DSL BundlesUncapped ADSL Data and an ADSL or VDSL line all‑in‑one from only R109pm. Modems and Wi‑Fi RoutersAffordable, quality Modems and Wi‑Fi Routers starting from only R649 once‑off. How much data can I use on Uncapped? Don't have Fibre in your area? No problem! 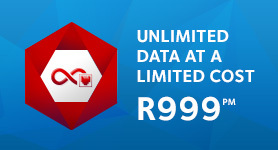 Get Uncapped DSL Bundles ranging from 8Mbps up to 20Mbps for only R999 per month. Shared Linux Web HostingAffordable, stable, locally hosted Linux packages from only R39pm. 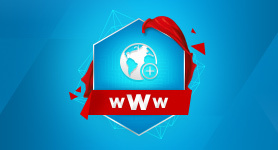 Shared Windows Web HostingAffordable locally hosted Windows packages from only R59pm. Cloud Server HostingDedicated Hosting, at a fraction of the cost from only R310pm. Enterprise Cloud HostingTop notch Cloud Hosting from only R910pm. 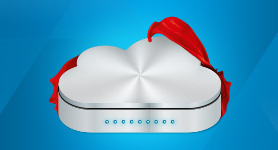 Managed Cloud HostingCloud Hosting with software management, from R810pm. Managed Enterprise HostingEnterprise Cloud Hosting with software management from only R1410pm. Reseller HostingStart your own hosting enterprise from only R510pm. Dedicated Server HostingRock-Solid dedicated hosting. You're in complete control from only R970pm. Managed Dedicated HostingLinux dedicated hosting. You're in control from only R1370pm. Rack HostingCustom Hardware? No problem, we've got you covered from R1100pm. Scalable, powerful, easy to use and reliable. Dedicated Hosting at a fraction of the cost. Domain SearchFind out if the domain you want to register is available. Domain RegistrationSecure your own unique space on the web from R97. Domain PointingPoint multiple domains to one for only R19pm each. Domain ParkingMake sure you're covered when you're ready with that great idea, from R197. Domain EmailNeed email accounts for your company? Get it now for only R19pm. Get your own personalised domain name! Starting to build your online presence can be as simple as registering a domain. Register your dream company name before someone else does. 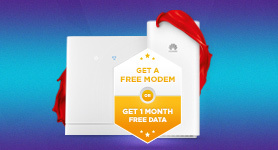 Afrihost Plus+Add more Internet Joy and save hundreds for only R109pm. Simfy AfricaStream more than 36 million songs for only R70pm. AfriDesignWe'll design and maintain your website, so you can focus on what you do best. SiteBuilderWant to build your own website? Try our new SiteBuilder. Free Fax2EmailAfrihost clients get Free Fax2Email, click for more info. 1GB Free Capped DSLGet a Free GB every month. All you need is an Openserve DSL Line. Internet MarketingLet the experts bring high quality web traffic to your website. Internet Marketing SeminarWant to find out more about Internet marketing? Attend one of our seminars. SEO Website TestingWant to test your website's SEO? Find out how it performs. Pure Internet Joy is what we're all about and with Afrihost Plus+ we're offering you even more value! You can save hundreds, all the way to thousands, each and every single month, depending on your internet usage habits. With our App you have access to ClientZone's awesome features from the convenience of your phone. Top up Data, make payments, check the network status and more from anywhere! Get answers on frequently asked questions. *Standard call rates. Free landline minutes do not apply. Nobody is a fan of RICA, however, we have done our best to make it as easy and effortless as possible when collecting or receiving your Afrihost SIM. RICA stands for the Regulation of Interception of Communications and provision of communication‑related information Act. It is a law passed by the South African government that requires ALL cellphone users to register their numbers. Simply sign up for any of our Awesome Mobile Packages. During the order process you will be asked to enter your delivery details. Please remember to provide your FULL details, including specific details to aid our courier in finding you easily. You will receive an email to confirm your delivery address. You can easily check the delivery status of your parcel in ClientZone. Our couriers will also be in touch with you closer to the delivery date to re-confirm your address in case there are any last minute changes. You will need the following ready for when the Courier arrives. An email reminder outlining the RICA documents will also be sent to you. If you live in an informal settlement you can provide a letter and/or affidavit from a school, church or retail store where you receive your post (this letter must be on an official letterhead or have the stamp of the school, church or retail store). A driver's license is NOT an acceptable form of ID for RICA. Only the RICA documentation of the person present can be accepted. If the person who ordered is not available, the person receiving the SIM Card needs to RICA on their behalf with THEIR OWN documents, i.e. the documents of the person who is receiving the SIM Card. 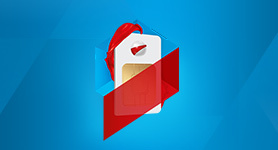 If you buy multiple SIM Cards from Afrihost, you will need copies of your RICA Documents each time and for each one. We CANNOT accept photocopies of your Identity Document or Proof of Residence without the ORIGINAL documents being present when receiving the SIM Card. If you do not have the documents available, the courier may make another appointment, or the goods may be returned to Afrihost. Ensure that you have the following ready when the courier arrives at the address you provided.  You will NOT be able to receive a SIM Card without these documents. Simply sign up for any of our Awesome Mobile Packages. During the order process select 'Collect in Johannesburg' as your delivery option. You will be asked to enter the details of the person who will be collecting the SIM Card. You will need the below documents when collecting your SIM Card at Afrihost HQ. An email reminder outlining the RICA documents will also be sent to you. If the person who ordered is not available, the person collecting the SIM Card needs to RICA on their behalf with THEIR OWN documents, i.e. the documents of the person who is receiving the SIM Card. We CANNOT accept photocopies of your Identity Document or Proof of Residence without the ORIGINAL documents being present when collecting the SIM Card. Ensure that you have the following ready when collecting your SIM Card at Afrihost HQ in Rivonia, JHB. The person who is RICA'ing the SIM Card MUST be present.